Buying land is a great investment, but when you’re not wealthy, it can be difficult to get on the land ownership ladder. Whether you want to buy land for recreation, building a home, hunting, agriculture, or as an investment, you are likely making a great choice. 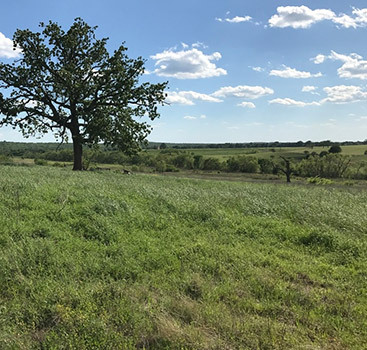 In this article from our real estate company in Texas, we’d like to cover some of the basic information you need to know about buying owner financed land. What is Owner Financed Land? Owner financed land (also called “seller financed” or “owner will carry”) is a form of land purchase where instead of getting a loan from the bank, you make payments directly to the seller until the loan is paid off. There are several advantages to you, as the buyer, of going the route of owner financed land. It can be easier for you to get a loan to purchase land. Some banks prefer not to loan money for land at all, meaning you may need to have the cash upfront for the whole piece of property. We are willing to work with buyers on terms, and we generally require less money down on your purchase than a typical bank loan. Owner financing can make it possible for you to get ownership of a piece of land when you couldn’t do it any other way. It can be much quicker to close the deal. With our owner financing, we do not require that you use a title company for closing. Owner financing also doesn’t have to go through the bank’s internal compliance procedures, meaning that you’ll close the deal quicker, move on from the transaction sooner, and get to enjoy your piece of land that much faster. You save on closing costs. Some banks charge as much as 2 percent of the loan in loan fees, and closing costs for a real estate transaction can run to many thousands of dollars. You also see cost savings by not being required to close through a title company, which adds substantial expense. When choosing your land, you should first decide what main uses you’re looking for. If you would like to build a home, you should consider utilities and a building site. You’ll need access to electricity and water. You may have access to community water, or you may need groundwater to be able to drill a well. Flat clearings are also important for a building site. If you would like a property for recreation and hunting, water features such as ponds, lakes, or streams and a mixture of pastureland and trees can be best for supporting wildlife. While flat, open land can be best for agriculture or cattle. Once you know what you want to use your property for, contact us and let us help you find your land. Know the terms that the owner will require of you. 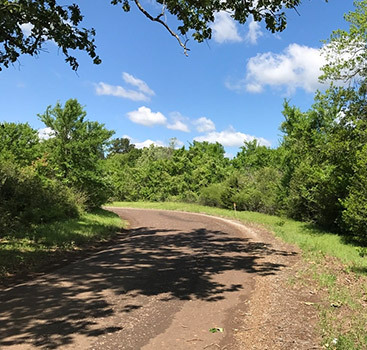 Every owner financed land contract should be a typical real estate contract while also being clear about how money will change hands and on what schedule. Your transaction will be governed by legal documents that describe the length of the loan, the down payment, the interest rate, and other important terms. Be sure you understand all the terms in the loan documents. Our documents include a standard real estate contract, note, deed, deed of trust, and disclosure of interest payments. We would caution you to be careful purchasing property on a contract for deed. There are additional state requirements that must be followed to appropriately govern these types of agreements. 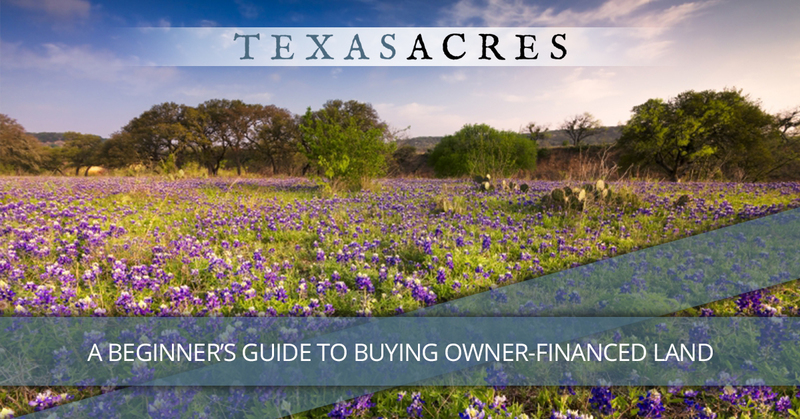 If you are looking for owner financed land in Texas, look no further than the properties available from Texas Acres. We have been selling owner financed land since 2004, and we work hard to make the process smooth, easy, and rewarding. 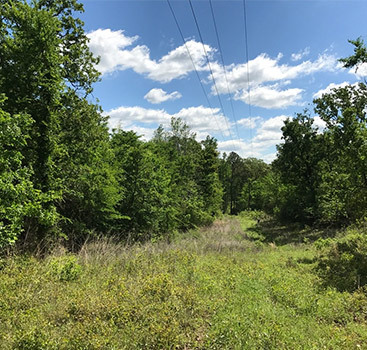 Contact us today about your favorite piece of land.